In this episode we sat down with Steve Byerly at the Compton Traditional Rendezvous. I just happened to meet Steve as he came by our booth and we talked bowhunting. I quickly realized that this guy was a stud and had to sit him down to tell some of his story. 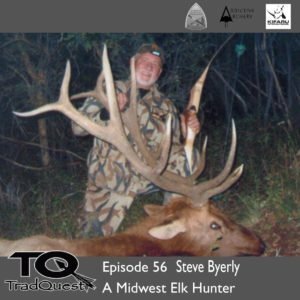 Steve is a blue collar brick mason who loves to bow hunt and has taken over 100 big game animals including 3 of the sheep species, mt goat, elk, whitetail and on and on..Enjoy!